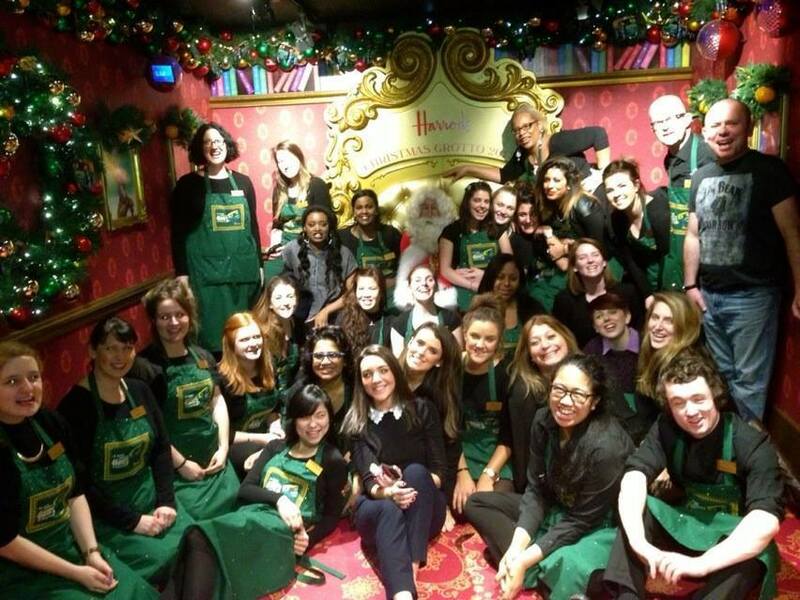 What's It Like Working As A Harrods Christmas Elf? Florence Mitchell What's It Like Working As A Harrods Christmas Elf? As a kid, some things about Christmas are just unmissable. Playing a sheep in the school nativity, gawking at the Oxford Street lights, visiting Santa at a grotto. But behind every bit of childhood yuletide magic is hoard of hard working (and long suffering) adults. In shopping centres and festive markets throughout the capital fully grown men and women bring the season’s characters and the magic of Christmas to life. But what’s it like working in one of the most elite grottos in London favoured by the rich and famous, the iconic Harrods? We spoke to two former ‘grotto host' aka elves, to find out. "They play the same song on repeat for eight weeks"
"It opens first of November," Helena* tells me. "There were five different rooms, each with a different Father Christmas. I’d say they each sees five children an hour," she muses. "I’m not sure how many children that means visited." I do the maths, it runs until Christmas Eve, that’s about 12,000. "Wow," even she’s shocked. And how many elves? "Around 30." Full on, eh. Helena took a job working at the grotto during her gap year. "I needed something seasonal whilst I figured out what I wanted to do." After a family friend suggested she apply, it just took one high intensity, ‘slightly mad’ group interview later and she was in. "They just wanted to get a sense of how positive you were," Maybe her stamina as well? "Ha, probably!" Even if they weren’t testing stamina, she was going to need it. Unlike other grottos, which just whack on your average Shakin’ Stevens, Mariah and Kylie hits, Harrods has a different approach to its ambient tunes. "They play the same song on repeat for eight weeks," says Helena. But why? It seems that just a simple visit to Santa isn’t good enough for the elite set. Instead, they concoct an elaborate Christmas-themed tale. A song is written to fit with that story, so the staff can’t hit shuffle when on the thousandth listen it starts to be white noise. But it’s not as bad it seems. "You’ve got different rotations, so you only do three hours listening to the same song before you get to switch roles." "It’s the best job I’ve ever had"
Helena’s fellow grotto host Lizzie*, maintains the whole process actually was fantastic. "It’s the best job I’ve ever had," she enthuses (Lizzie is now a teacher). "You’re working with a bunch of people your own age, your job is to be cheerful and every one visiting is there to have a nice time. Plus it’s really well organised. There was one manager who was a stickler for rules and seemed to care more about that than customer service, but that was an exception." Also she’s keen to point out that while A-Listers (like Adele) and C-Listers (sorry, Amanda Holden) pop by, so too do normal folk. "They just have to book far enough in advance and they'll get a space." A classless society after all. Celebs, as you might expect, do get special treatment. The grotto opens early for them, and if they don’t book a slot they’re let in anyway. "We accidentally turned away Shakira, because she didn’t book," Helena remembers. "But then one of the guys recognised her husband [the Barcelona footballer, Gerard Pique] and we had to go chasing after her." Did a celeb tantrum ensue? "No, she was very good about it." "The mum didn’t want any female elves in the grotto with her husband"
But they did get their fair share of demanding A-listers. One famous family sticks in Lizzie’s mind as the most testing. "They wanted the continuity of the same Santa for their children, who have a bit of an age gap." The Santa who they first met in his 60s, is now nearly 80. Now I’ve consulted an 11 year old (who no longer believes in Santa, I’m not evil) and she confirmed "no kid notices that the Santa isn’t the same." Thought as much. "Also," recalls Lizzie, "the mum didn’t want any female elves in the grotto with her husband." 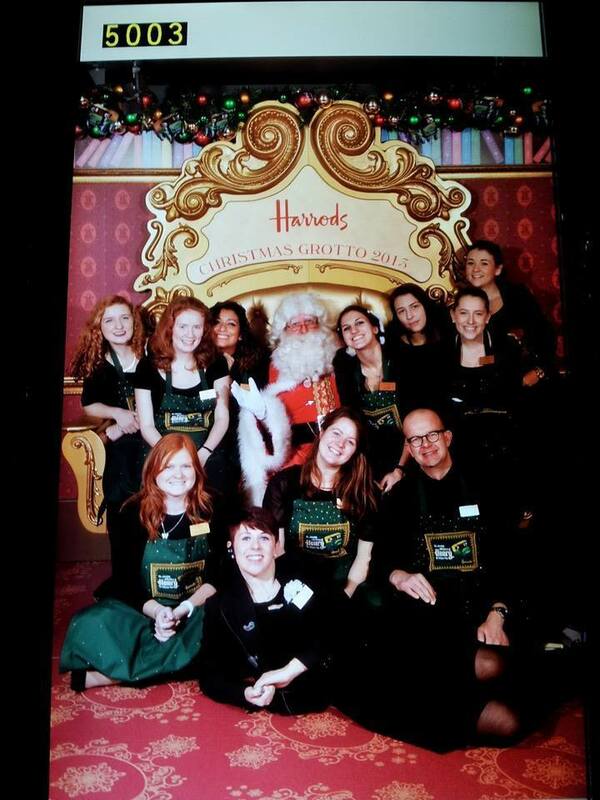 Harrods is used to meeting such demands though, so sent all the male elves on an early lunch break. "Which was a good idea, except the family arrived an hour early. The allotted Santa wasn’t ready and all the elves were missing." Garnering a far bit of attention and gawping from the hoards lining up, the mum started to get somewhat frustrated. Lizzie was stationed at the front of queue, a sort of bouncer for Santa if you like, and was being updated on her radio for a seemingly interminable amount of time. "I made up some story about Santa being delayed because he was feeding his reindeer, and tried to keep talking to the kids to keep the amused whilst not appearing too starstruck." 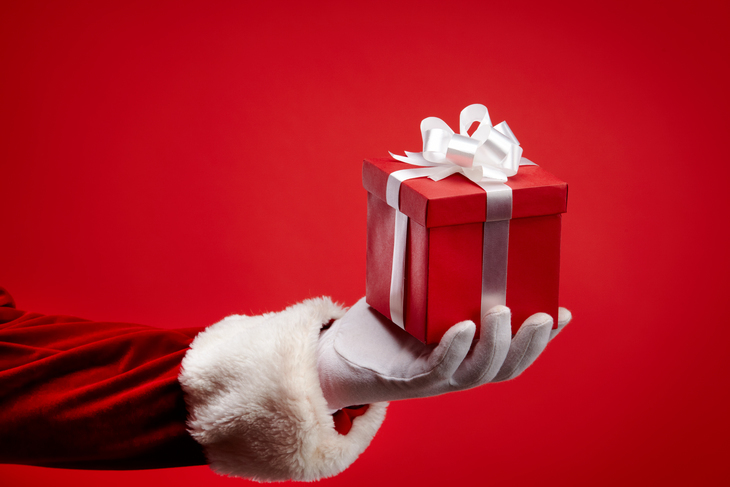 "We’d often be given an iPhone by parents who wanted Santa to present that to their kid instead"
Interestingly, the kids never seemed to cause an issue for the grotto staff, instead it would be the pushy parents. "Often a child would be scared of Santa, which you can understand, but the parents would force the kid to have a picture taken," Helena says. "But the Santas were quite good at dealing with it and wouldn’t manhandle a clearly distressed child. Parents were often really bad at coping with full on meltdowns as well. We were much better at calming kids down than the people looking after them!" 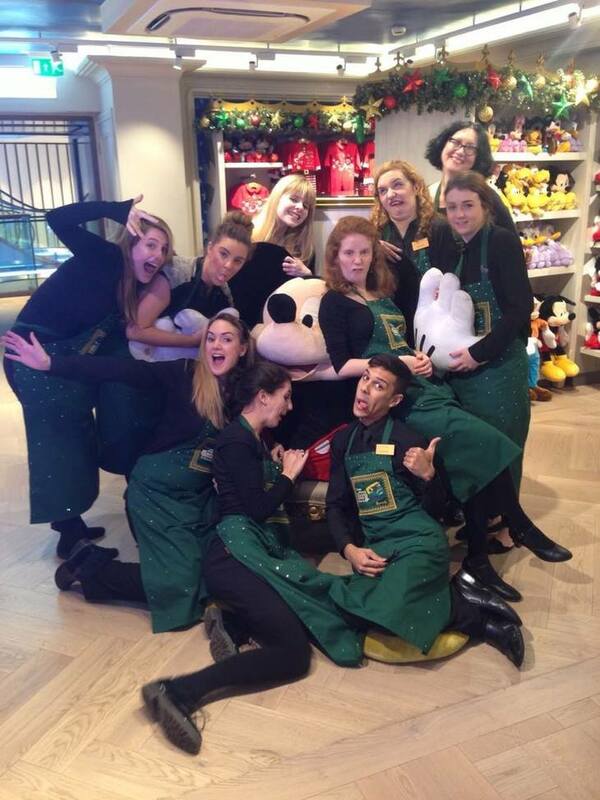 "You’re bringing the magic of Christmas to life for kids"
I ask if all the grotto assistants were as child loving? "There was a cupboard which housed chocolate for the kids which we weren’t allowed to eat," Helena chuckles. "You’d often find one particular member of staff sat in there, tucking into one of the boxes when things all got too much." It being Christmas, staff themselves would often appear hungover for a shift as well. "There was a storeroom where all the presents were sorted out. If anyone was suffering, they’d generally manage to switch with whoever was on duty there and have a bit of downtime." The only staff tension seems to have been between the Santas and, well, everyone else. "It’s just a bit odd, it’s just you and a failing actor in his 50s or 60s — old enough to be your dad — stuck in a room," recalls Helena. "There’s always a gap between kids coming in, you do end up hearing their whole life story, which can be a bit tragic especially if they’ve been doing this job for lots of years." By the end of our interview I wonder if the constant merriment kills holiday joy the for the staff. "Definitely not," Lizzie’s quick to reply. "You’re bringing the magic of Christmas to life for kids, what could get you more into festive spirit for than that?"